Manny Pacquiao had a viral infection before his fight against Mosley. On the fight proper he was the one who kept on attacking Mosley despite his illness. 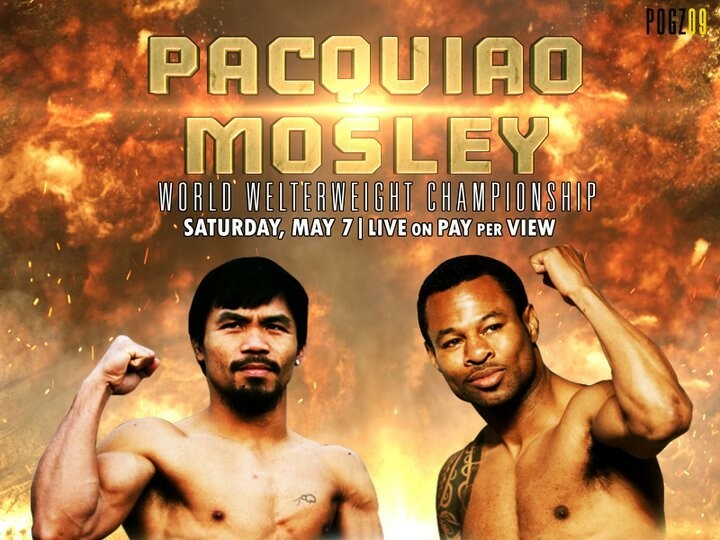 The fight was a bit interesting in the first three rounds but after Manny momentarily knocked Mosley down the fight became boring. Manny wanted to open up himself so that Mosley would attack him but Mosley continued to play safe. Maybe he knows that if he’ll go all in he will be knocked down. Manny continued to pursue him to engage him in a slug fight but he just ran away from Manny. That’s why the match went up to round 12 with Manny winning via unanimous decision. If you want to watch the replay videos of the fight, here are they. The videos are from YouTube.